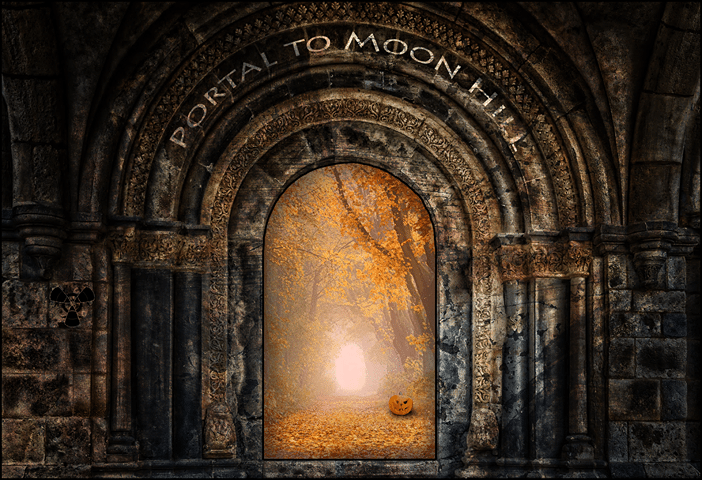 Moon Hill is the land of eternal autumn, where Halloween hijinks rule the day. This hidden place, secreted among the rolling, leaf-covered hills of Pennsylvania, awaits all those who are members of the Halloween Club, our Candy Corn Apocalypse Army. 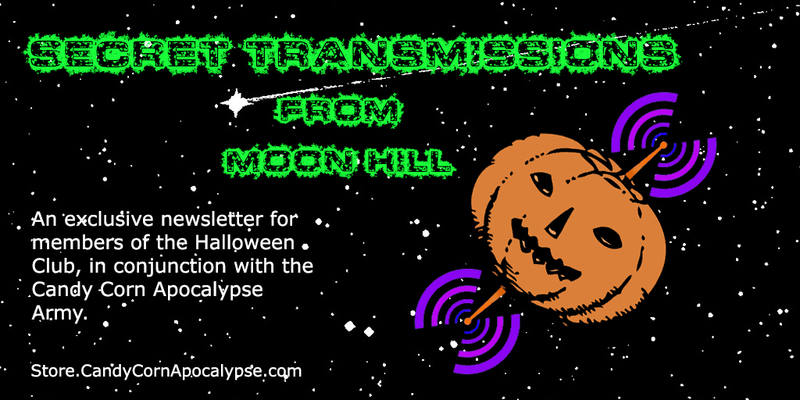 If you possess the proper credentials, please don your protective Halloween masks now, and proceed to the portal link below. For those who find themselves lacking the proper paperwork, fear not! 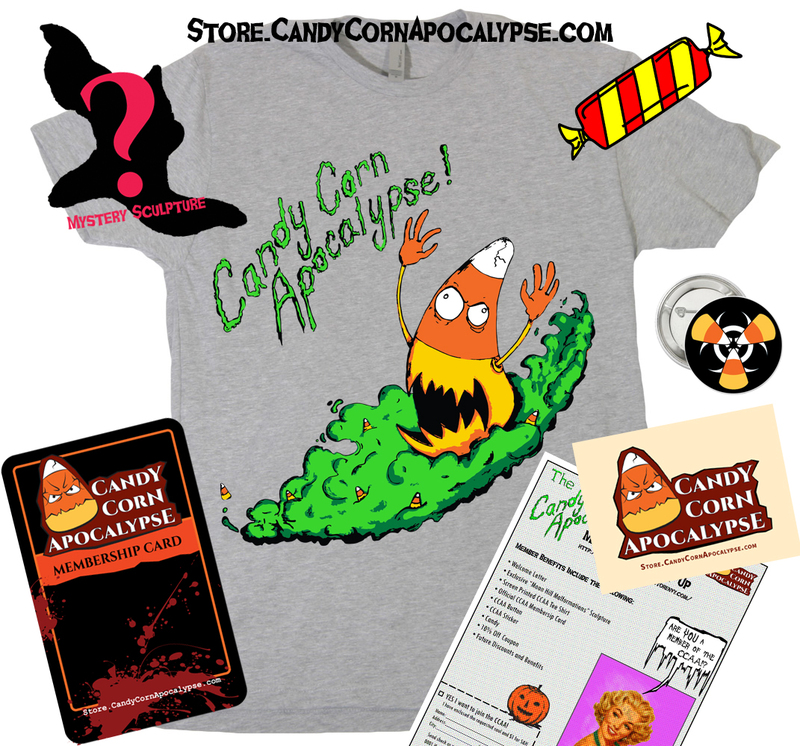 You can obtain your very own issuance via the Candy Corn Apocalypse store. There are two membership packs available, both of which are one-time purchases. Both packages include the membership card (complete with QR code and password to grant access to the Secret Portal to Moon Hill), CCA sticker, Hazardous Fallout button, welcome letter and goody bag. The deluxe pack adds to the purchase an official CCA shirt, and mini sculpture or magnet. Both can be found.